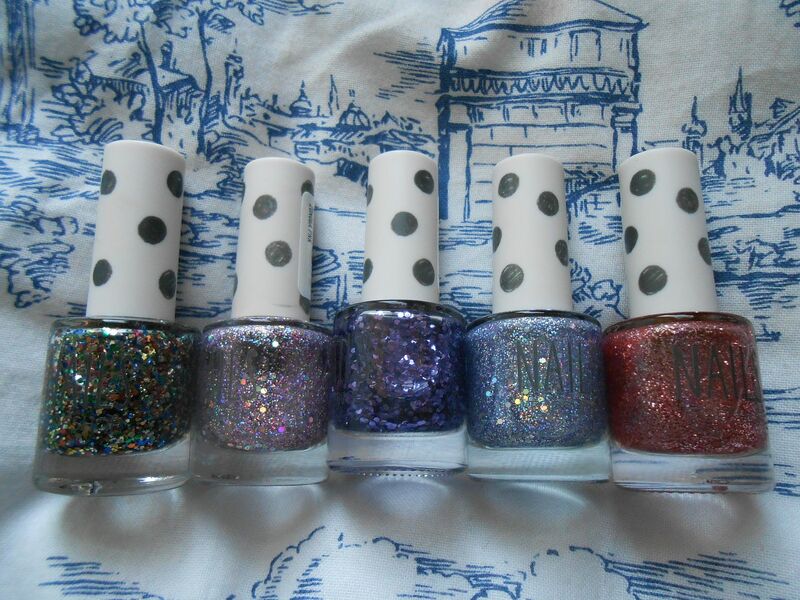 Topshop, the king of glittery polish. I love glitter and I love nail polish, but within that field is another love – Topshop glitter polish. Their glitters are the best I’ve tried, and they have loads to chose from. I (currently! hehe) have 5 of them. Brazil is multicoloured and has brown, green, blue, red and gold glitter running through it. I love this over darker polishes. Adrenalin is my first Topshop glitter. It’s a girly dream come true. 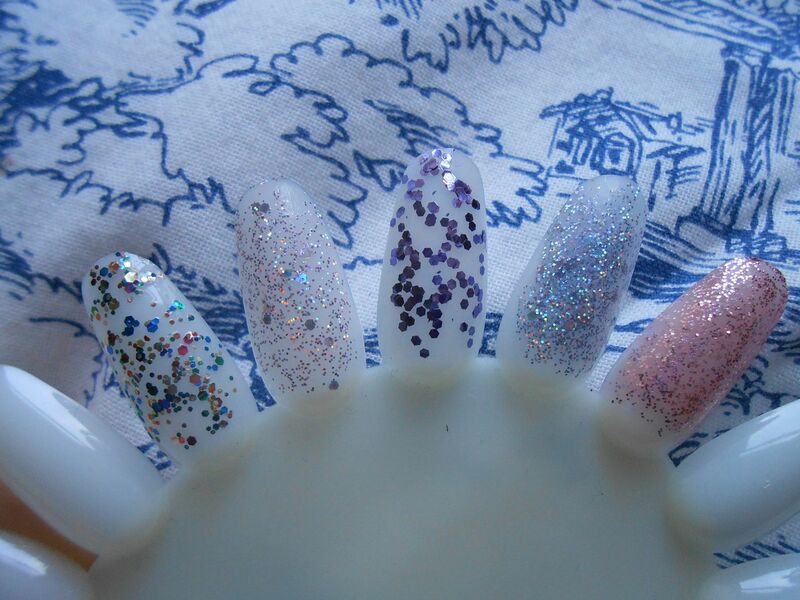 Pale pink and silver glitter, it looks amazing over Essie Fiji or Model’s Own Utopia. Pluto has fairly large circular pieces of purple glitter, which makes it the trickiest to apply. You have to essentially dab it on and not stroke it like you do with most polish. Sounds legit? Razzmatazz is my favourite. An icy pale blue and silver colour, this was made for Essie’s lilacism! It looks amazing paired with that. Get so many nail compliments when I wear it. Tinge is the newest polish to join the ranks, and just screams Autumn to me. It looks especially good over brown/taupe colours. Are you a fan of glitter polish? Have you tried Topshop glitter? My Top 10 MAC lipstics!